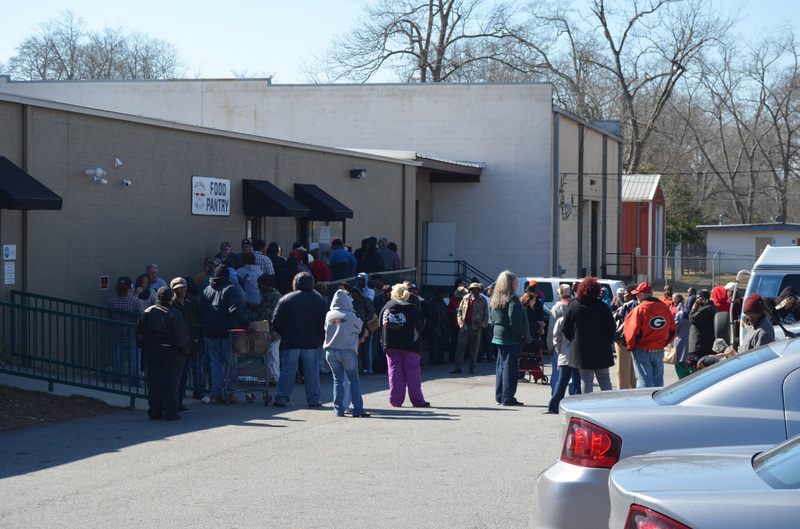 Five Loaves & Two Fish Food Pantry is located in Griffin, Georgia. Griffin is a town of about 23,000 people and we are part of Spalding County (population 65,000). We are not one of the bigger cities/counties in Georgia, yet we are the fourth largest food pantry in Georgia. What a great history we have. We started in 1989/1990. A group of people from St. George’s Episcopal Church in Griffin felt this ministry was sorely needed. We were once an important mill town, but, when the mills closed down in the 80’s and 90’s, our community had suffered a high rate of unemployment. Five Loaves & Two Fish started with a few church members bringing cans of food to church. Our first location was a closet (pantry) at St. George's. Then it moved to a room downstairs at our church before moving once again across the street to the old Greyhound Bus Station. From there it moved to a small donated house across from our church. Both the bus station and the house were part of St. George's property. Lastly, in 2012, we moved to our current location in a building across the street from our church. 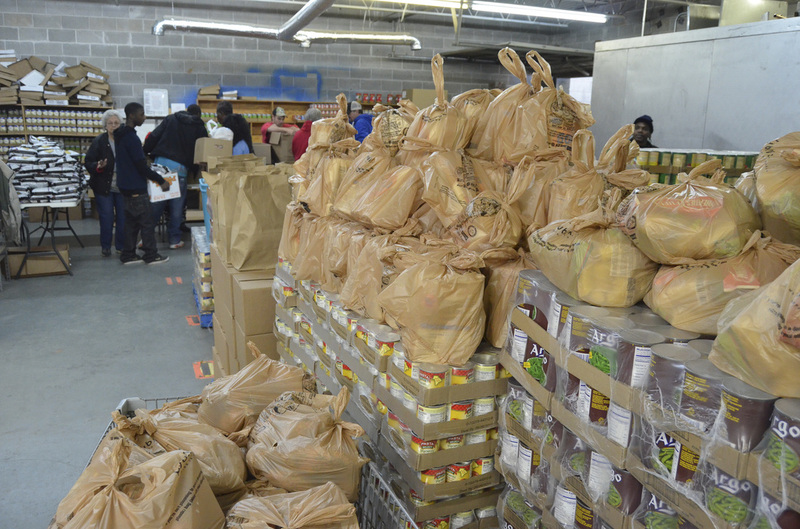 Five Loaves & Two Fish distributes groceries every month to about 1,500 to 1,800 households. This equates to about 20,000 bags per year. We go through 500,000 to 600,000 pounds of food per year. We buy our food from the Atlanta Food Bank (our most important source) and from other local sources. We also have four major Food Drives each year sponsored by a local photographer, The Boy Scouts, Chick-Fil-A and the Postal Carriers. 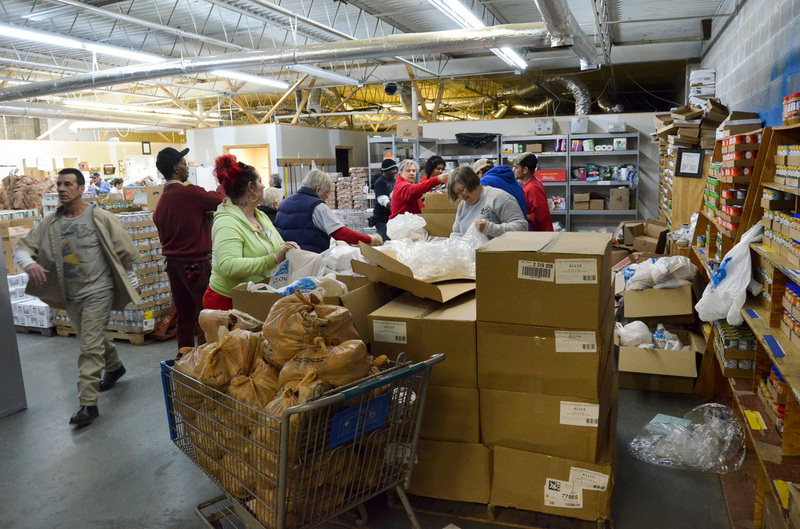 There are many local businesses, farmers, churches and residents that donate food to us all year long – every week. Grant dollars from businesses and churches like St George’s are where we get some of our operating dollars. We also get funding from the residents and farmers in our community. We have kept up to date with technology and have a complete database on our patrons. We are staffed by about 150 regular volunteers. In addition, one Saturday a month is a special Saturday where we have another 50 volunteers. On this day, we get a special truck from The Atlanta Food Bank (6,000 to 10,000 lbs.). We distribute this to about 200-250 patrons. This distribution does not count against their monthly allotted bag of groceries. Then there is Thanksgiving and Christmas. This past year we were fortunate to give each patron a turkey for Thanksgiving and another one for Christmas. This has never happened before and our patrons loved it!! We started in 1989 and are still thriving in 2015; 26 years and going strong! !